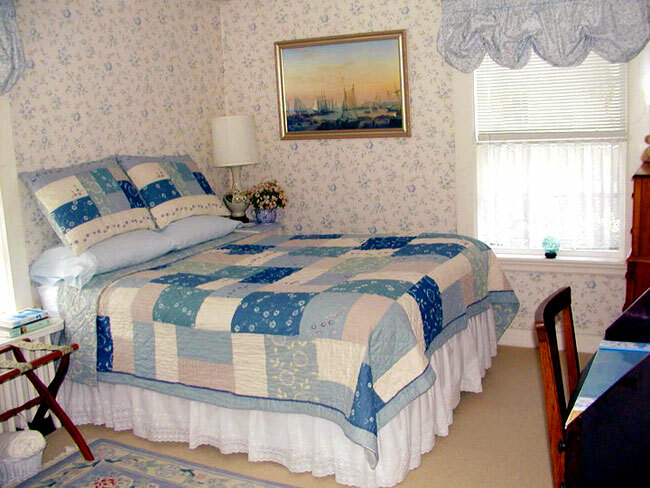 Harborside House offers the choice of two guest rooms with private bath. Conveniences include writing desk, bureau, closet, clock radio, hairdryer, free wi-fi, terry robes, and toiletries. A spacious room with spectacular harbor view. Sounds of waves and seagulls. Antique mahogany twin beds. 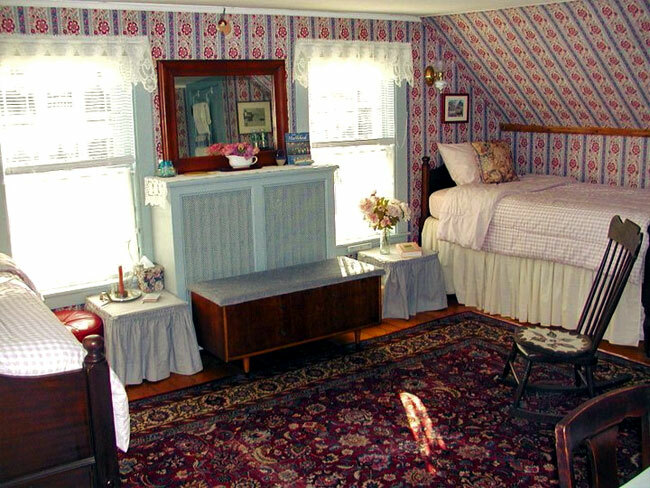 Quiet, romantic accommodations overlooking flower gardens. Full-sized bed. Antique mirrored dressing table. Open all year. No minimum stay required except on holidays and in October. 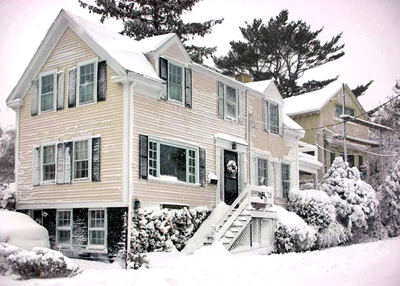 January - April: $100 a night. Enjoy tea or cocoa by the parlor fireside. Watch Frostbiter sailboats on the harbor. Savor a bowl of chowder in old town. Reservations: Book well in advance summer, fall, and holiday weekends. Online bookings preferred. Check availability. Payment: Full payment required for 1-2 night stays. 50% deposit for 3 nights or more. Personal checks accepted. Full refund (less $15 booking fee) if cancellation is at least 2 weeks prior to arrival date. Restrictions:Children over 8 welcome. No pets. Smoking permitted on outdoor patio.